Hello, I’m Jesse B. Crawford. 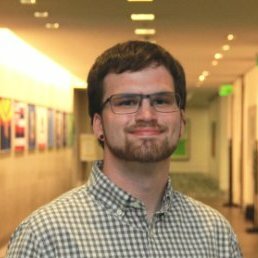 I'm a DevOps engineer, information security analyst, and part-time graduate student in Information Assurance living in sunny Albuquerque, New Mexico. I'm interested in security, computer history, transportation and infrastructure technology, and in general more things than I can list. You can get in touch or read my resume, and I also write essays and collect all kinds of information related to my interests. I've worked as a system administrator, a security analyst, and occasionally even as a software engineer. Currently, I'm working as a DevOps engineer for a major organization and studying part-time for an MS in Information Assurance. I'm very interested in security, cloud systems, and project management for IT and software projects. I volunteer with the American Red Cross's Disaster Services division and various causes in the areas of LGBT issues and K-12 STEM education, and take almost every opportunity to speak before large and small groups about computer history and other topics. I'm also an amateur radio hobbyist and an avid fan of the endless desert. I grew up in Portland, Oregon, and have spent my adult life in New Mexico, with various periods in San Francisco and Charlottesville, Virginia. I'm not sure there's anywhere in the country I dislike, but of all the places I like, I like the southwest the most. As often as possible, I road trip across the rest of the country, sometimes taking photos along the way. Mostly photos of trains, though.